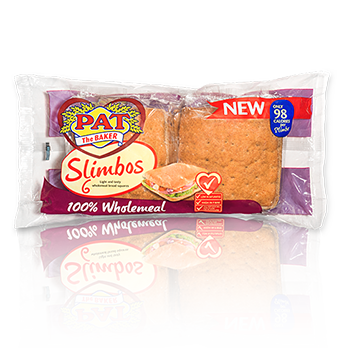 6 Light & Tasty 100% Wholemeal Bread squares. Full of fibre to help you meet your daily requirement. Only 98 calories per Slimbo! 6 Light & Tasty Brown Bread squares topped with wheat flakes, linseed, rye, sunflower seeds, pumpkin seed, poppy, sesame and kibbled soya. 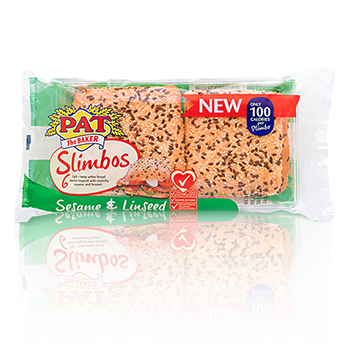 Only 110 Calories per Slimbo! 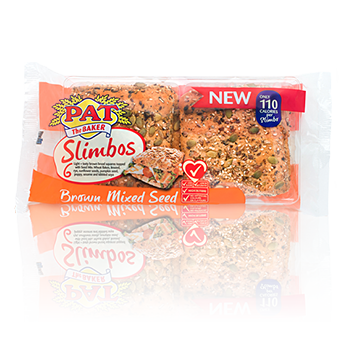 6 Light & Tasty White Bread squares topped with crunchy sesame and linseed. Only 100 Calories per Slimbo! 6 Light & Tasty White Bread squares. Low in sugar, saturates and no artificial colours or flavours. Only 100 Calories per Slimbo! 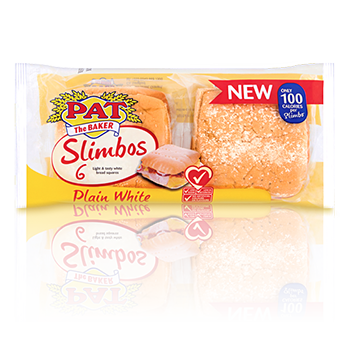 Pat’s light and delicious Slimbo Burger Buns are a guilt free addition to any burger! 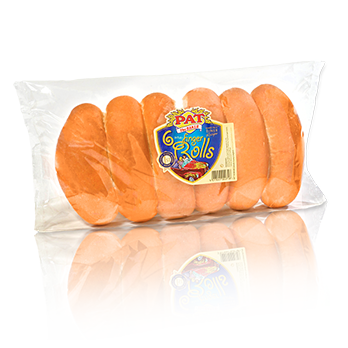 Pat’s Finger Rolls are perfect for lunch, with hot dogs, or with soup. 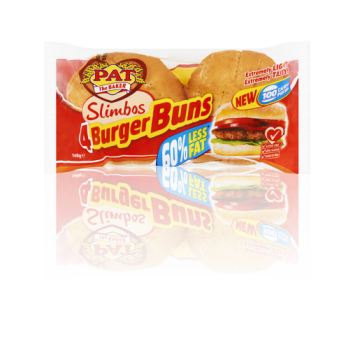 It’s the bun that makes the burger… or so we think. 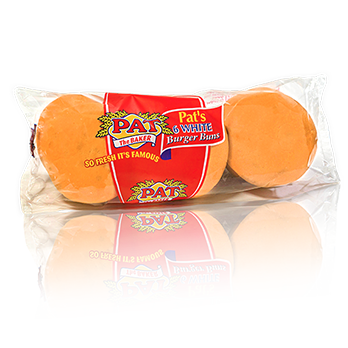 Beautifully baked, our light and fully burger buns are a real treat.